As fitness professionals (absent any nutrition degree or certification), we have to be careful to remain within our scope of practice when it comes to providing diet and nutrition advice to our clients. However, there is one tip you can safely provide, and it just so happens to be the most important nutrition tip of all: DRINK MORE WATER. It’s estimated that 75% of Americans suffer from chronic dehydration, and this can be particularly dangerous for expecting moms.¹ Read on to learn why proper hydration is so important for mother and baby, and discover one interesting strategy to help your clients get the intake they need. This tip of course applies to postpartum mothers (and all human beings in general) as well! It’s essential for baby’s growth. Fetal development occurs through cell division. Every time a cell divides and gives rise to a new cell, 75% or more of the new cell’s volume has to be filled with water. By the time a baby grows to full term, about a trillion cell divisions will have taken place.¹ That’s a pretty significant increase in water demand. In short, growth depends on the availability of water. It improves nutrient delivery to the baby. Staying hydrated helps the body absorb and transport vitamins, minerals, and hormones to the blood cells, and in turn, the placenta. It helps prevent birth defects: During the first trimester of pregnancy — when the baby’s critical brain and organ development are occurring — it is very important for the mother to avoid getting overheated, as maternal body temperatures over 102°F have been associated with an increase in birth defects. One of the ways the mother’s body naturally protects against overheating is by sweating more, and sweating requires hydration. If she’s dehydrated, she’s at greater risk of becoming overheated. It can help alleviate nausea, indigestion, heartburn, and constipation: Some researchers say that morning sickness is a thirst signal of both mother and fetus.² Indigestion, heartburn, and constipation are also common during pregnancy because hormonal changes loosen the walls of the intestines, making digestion more difficult. However, drinking water improves digestion, so can reduce these issues. For best results, drink more water in between meals, and less with meals. It reduces fatigue and improves energy. During pregnancy, the heart must work harder to achieve the increase in blood volume necessary (about 40% more by the end of the third trimester). If a woman is dehydrated, this leads to a drop in blood volume, so her heart will have to work even harder to generate the necessary blood volume (leading to feelings of exhaustion). It alleviates headaches and muscle cramps. Building on the previous point, when there is a drop in blood volume from dehydration, the reduction in oxygen-rich blood flowing through the body can lead to headaches and muscle cramps. It helps prevent swelling. During pregnancy, increased blood flow combined with a growing uterus can lead to swelling, particularly in the hands, ankles, and feet. Increasing water intake decreases swelling by improving circulation and helping to flush out excess sodium. Pregnant and nursing moms need about 3 L of water (approximately 12 cups) per day. 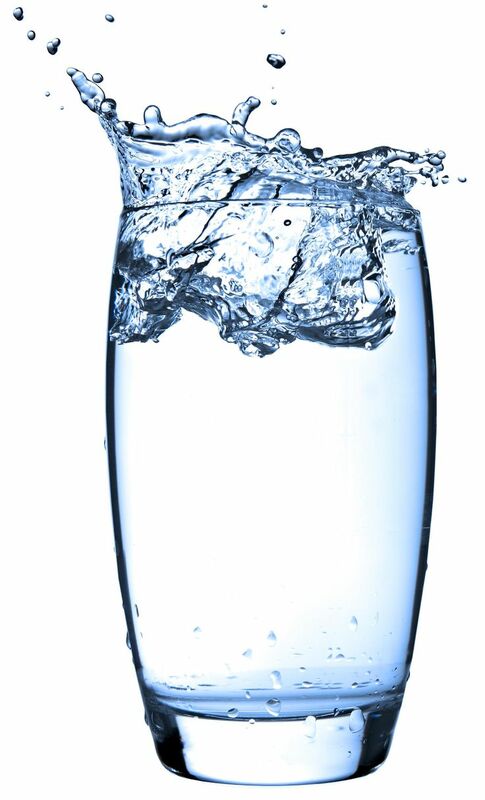 There are several ways to achieve this goal, but one strategy recommended by the osteopathic organization ELDOA (experts in joint health, postural issues, and chronic pain management), is to strive to drink 1L of water within the first 30 minutes of waking.³ It is still important to drink throughout the day, but this first push of hydration in the morning fully re-hydrates body tissues and joints after a night of sleep, regulates hunger, and boosts energy for the entire day. Have your clients try this for a week and note the difference in how they feel. It’s a common error to think that coffee, tea, and juice can substitute for water in providing adequate hydration. In reality, these fluids can actually have more of a dehydrating effect. There is no substitute for water. If clients need help remembering to drink throughout the day, check out this list of the top Hydration Reminder Apps. Thirst is not a reliable indicator for adequate hydration, as by the time you feel thirsty, some part of your body is already dehydrated. The best gauge to use is the color of your urine. It should be pale yellow, or straw-colored. If it is darker yellow, this is a sign of dehydration. Remember to use this gauge (and the tips above) with all your clients, and yourself. This is certainly a tip that does not just apply to the pre/postnatal population! ¹Medical Daily. 75% of Americans May Suffer from Chronic Dehydration. July 3, 2013. ²Batmanghelidj, F. Your Body’s Many Cries for Water and ​Water for Health, for Healing, for Life. ³ELDOA. Seminar on fascial health.